After basically determining that a studio switcher at the heart of one enormous wonderful rat’s nest of GPI wiring that will all have to be redone *A SECOND TIME* is all messed up, I took great amusement in this technical problem and its fix. 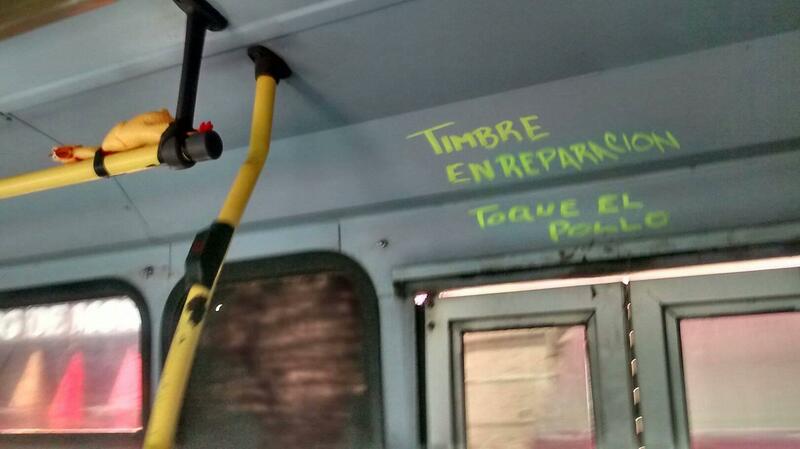 This is apparently in place aboard a bus in Morelia, Mexico. The instruction is making me freaking die of laughter. TOQUE EL POLLO! Toque translates to play, as in a musical instrument, or touch. I prefer the former. 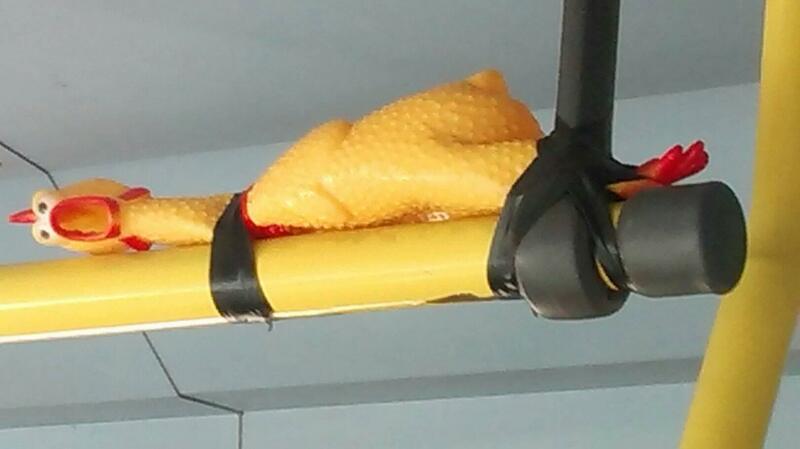 PLAY THE RUBBER CHICKEN!! !